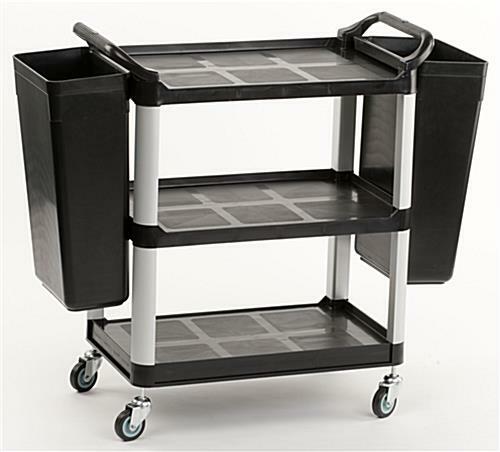 This utility cart and side bin’s open design delivers ample storage space and allows access from all four sides for easy loading and unloading of supplies. 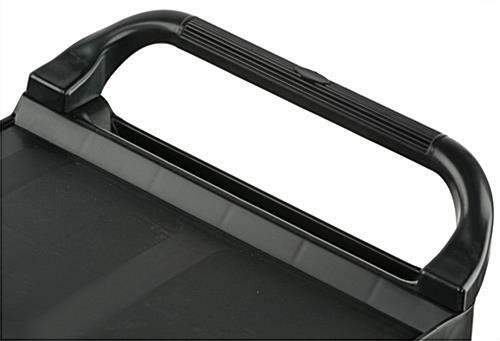 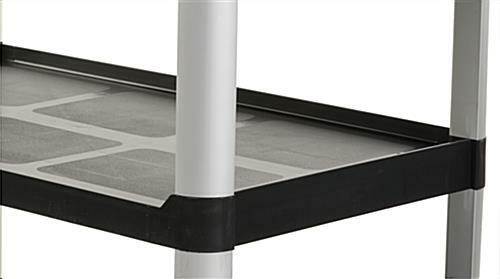 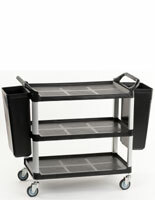 The trolley that keeps waste and dinnerware separated while bussing is ideal for sanitary purposes. 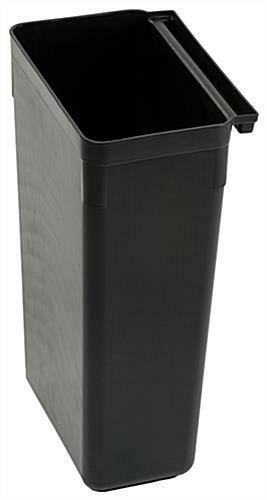 Each black plastic refuse receptacle is heavy duty and capable of holding recycling and garbage as needed. 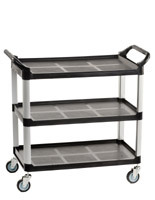 The mobile shelving unit, utility cart and side bin is able to carry large amounts of inventory or supplies. 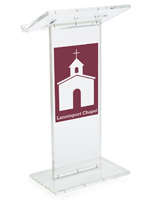 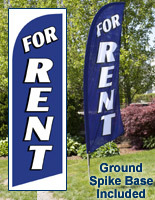 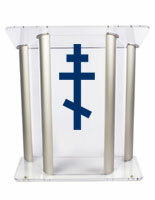 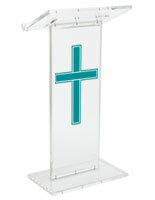 The unit is made out of polypropylene plastic for long-lasting durability. 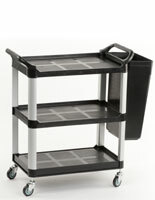 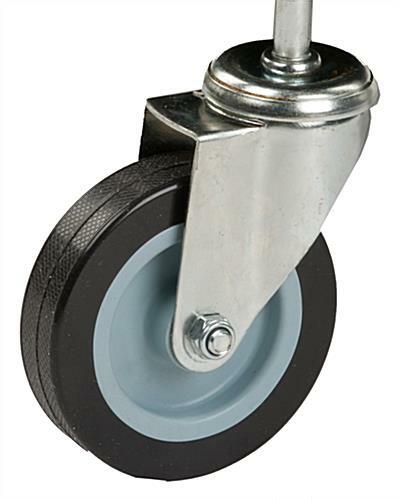 The utility cart also has four caster wheels for easy mobility. 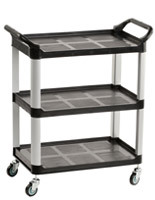 42.4" x 36.5" x 16.8"
13.0" x 22.0" x 9.0"